When Roger Melton passes away, he unexpectedly leaves a substantial fortune to his nephew, Rupert Sent Leger. But Rupert must fulfill one condition if he is to inherit: he must live in his uncle's castle in the Land of the Blue Mountains for one year. It is here, at Castle Vissarion, that Rupert encounters a mysterious woman cloaked in a wet shroud who is seeking refuge in the middle of the night. Rupert helps the beautiful woman, but she disappears before he can learn much about her. Discovering the identity of this ethereal creature will change Rupert's life forever. 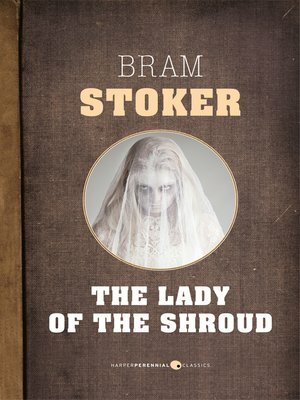 Presented as a series of letters and diary entries, The Lady of the Shroud was written in much the same fashion as author Bram Stoker's more famous novel, Dracula, and represents Stoker's unique and haunting writing style. Due to its unexpected storyline, The Lady of the Shroud has become a favorite within the gothic and horror genre first popularized at the turn of the twentieth century.